The Caps finally won a title, but that's not the only thing D.C. sports fans can be thankful for this year. The WTOP Sports staff shares their picks. WASHINGTON — This is always a good time of year to take a step back and take stock of the things worth appreciating that are often lost in the day-to-day din. When it comes to sports, it can be easy to lose sight of the good things if a season doesn’t turn out the way you wanted — D.C. United losing in penalty kicks, the Nats missing the playoffs entirely, the engine-on-fire-and-the-breaks-out-careening-toward-a-cliff daily drama of the Wizards. After all, every season that doesn’t end in a championship finishes with some measure of disappointment. But D.C. actually won a championship this year! You already know that’s on this list. Though there is more for which we should give thanks. Here are some of the WTOP Sports staff’s pick from 2018. D.C. United supporters and all sports fans in the DMV should be thankful for the arrival of Wayne Rooney. Consider Rooney’s resume reads “England and Manchester United’s all time goal scorer” and we should appreciate we have a global soccer icon representing the nation’s capital and not New York or Los Angeles. 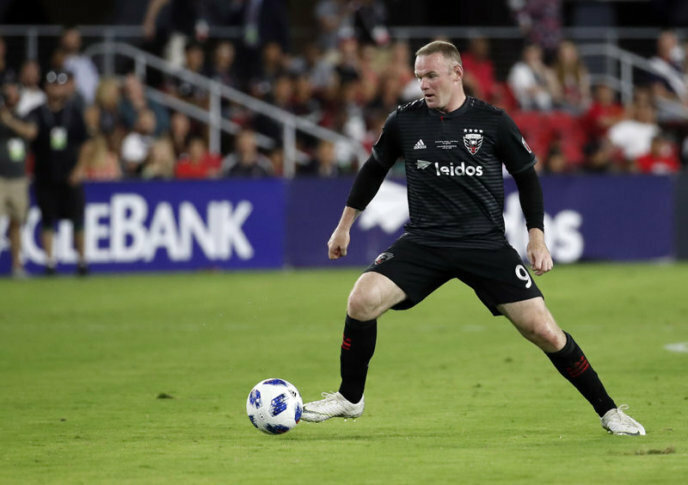 With class and commitment, Rooney inspired United to a return to the playoffs and in the process helped give an unforgettable christening to Audi Field.